Unquestionably the most noble of Hungarian dessert wines. Each creamy, viscous gulp should be shown the respect deserved of a phenomenon which happens 4 times in a decade at best. 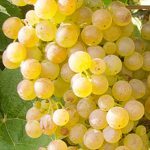 Wine made from grapes affected by botrytis (noble rot) provides a unique and magical experience. Feel free to lay it down in the cellar for years until the right occasion comes along. Or Bull’s Blood, this was the favoured drink of the defenders of Eger against the Turks. Based on grapes of the Carpathian basin – Kékfrankos, Kadarka – it loves to be enlivened by Cabernet, Pinot Noir, Syrah and many others. All combinations create a unique wine, incomparable to any of it’s parts, where the fruits, spices and the cask’s aroma shine through. 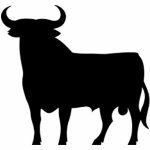 Will certainly bring out the bull in you. Very few places make wine from this one grape, but in Hungary we love her on her own. Dark ruby coloured, with lively tannins, it’s bouquet sparkles with red berries – raspberry, cherry, plum and strawberry – with a spicy pepper flavour and a long aftertaste. Maturing in oak casks adds exceptional flavour. Microoxidation releases more scents and flavours, namely vanilla, coconut, and a pleasing smoked aroma. Who would have thought that a wild night between Sauvignon Blanc and Cabernet Franc would result in this lovely grape. This robust type needs patience before harvesting, so if you taste green peppers then that is a sign of immature tannins. Paprika spice, plum and blackberry are a sign that it has been left long enough. When matured, secondary notes of eucalyptus, mint, cedar and tobacco come through. This wine retains it’s quality for several years in the cellar, and will happily show it’s appreciation. From refreshing to substantial, you get it all with this grape. 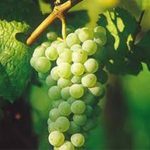 It’s original home is Burgundy, but you find it anywhere grapes are grown. We love it because it’s fruity and neutral notes allow the properties of the terroir to shine through in every wine. In Hungary it is used for all sorts of wines, from reductive to barrique, from light to substantial. The real joker in the pack. A blend of Tramini and Irsai Olivér, this spicy wine is light, piquant and charming. The explosive perfumed fruitiness comes from the Irsai, the pleasant spiciness from the Tramini. Originally developed for the northern wine regions due to it’s resistance to the cold, it is now grown mainly in southern Hungary. It is a great wine to open with, so start your tasting with a glass of Cserszegi Fűszeres. The cross-breeding equivalent of a talkative stranger. Cross-breeding is much like the work of a master chef. The goal is to show the various parts to their greatest advantage, smooth out the flaws, enhance the strengths, and create harmony. This is a 100% Hungarian grape, nurtured mostly in Mór. Strong in acids, this wine is most often hard and striking. Light in bouquet, strong on alchohol, with a slightly tart taste. Here comes the botrytis! Even if the ‘noble rot’ doesn’t take hold every year, it still makes for deliciously sweet late wines. 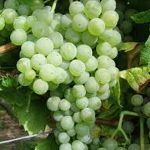 A great Hungarian, this grape holds sugar and acids well, allowing it to provide a cavalcade of flavours. We are talking honey, quince, fruits and flowers, what more could anyone want? Grown for centuries in Tokaj, it has made it’s way to the Somló region too. It is also grown in Slovakia and Slovenia, where it is called sipon. 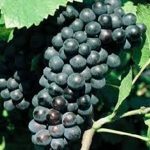 Light but substantial, it is mostly used in complex wines of real body. Prone to botrytis, Tokaj Aszú without Furmint is like Dallas without Jockey. They love it in Tokaj as the faithful companion to Furmint. It has also made it’s home in Eger, the Mátra hills and even Villány. 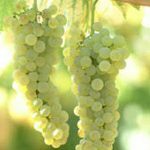 It’s dry wines are flowery, pollen scented and highly spiced, and it is not unusual for the heavenly taste of linden honey to suggest itself. 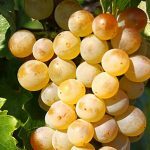 Also prone to botrytis, which makes it a staple in Tokaj Aszú. Pleasant on it’s own, blend it with Furmint and you can’t go wrong. Or “Ewes Tail”, because that is what the vine looks like. It’s name has become synonymous with Somló, although Balatonfüred claims to be it’s original home. A good holder of acids with much character. 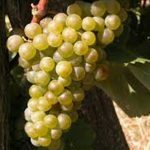 The beauty of the grape is that it’s own mild bouquet and taste allow the qualities of the local soil to show through. 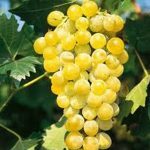 The grape’s speciality is that even when harvested fully ripe, or even overripe, it maintains it’s acidity content so that wines made from the Juhfark are likely to remain fresh for up to 6-8 years. Full-blooded Hungarian, Kadarka is our Pinot Noir. Grown mainly in Szekszárd, Eger and Villány. 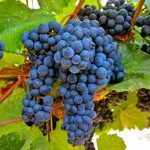 Highly quaffable, with smooth tannins, grapes from older vines can also produce seriously full-bodied wines. Red berries and a cavalcade of spices are it’s main qualities, like the hipberry jam our grandmothers made. The king’s daughter never fails to charm and delight. From Transylvania, this grape is a true Hungaricum. Grown in many regions, it is most frequently found in southern Balaton, Eger, and Neszmély. It’s wine is has a discreet scent of muscatel or flowers. Fine, full-bodied and harmonious. Soldiers in Napoleon’s army spent all of their blue Franc notes on this wine while resting between campaigns, hence the name. 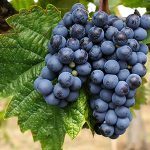 This is Hungary’s main blue grape, a truly diligent collector of acids, leading to a lively and substantial wine. Whether it is an easy drink, or unusually full-bodied, you will enjoy the mass of red-berried fruits. 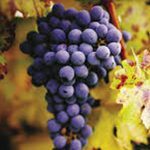 When properly selected and harvested, this grape can take it’s place next to the Cabernets anytime. 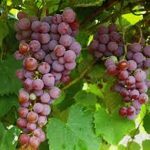 This grape’s nickname is ‘thrush’, which may come from the shape of the vine itself, or equally because it was that bird’s favourite snack in the past. A flavour of velvety tannins and tons of cherry and red berries, this wine can be enjoyed after a minimum of maturing. 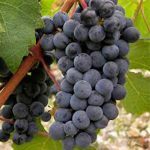 The nature of the Merlot is highly dependent on location and climate, so many types of wine are made from it in Hungary, from simple, fruit jam flavoured wine to specially matured heavy reds. 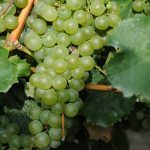 “Italian riesling” is one of our most widespread grapes. 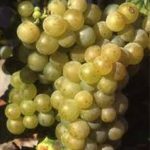 Despite being neither Italian nor riesling, it still shares many attributes with the Rajnai type. 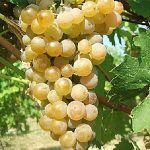 This grape has a thousand faces, from early light to late and sweet, we even make ice wine from it. There is no missing the peach flavour, but it’s real fingerprint comes from the bitter almond aftertaste. 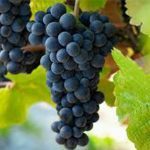 Due to it’s high magnesium requirement, which then passes on into the wine, it is known to be good against stomach ailments. A blend of Saszla and Saumuri Muskotály, which has better resistance to the cold than other muscatels. A cavalcade of flowers and fruits fill the bouquet, but somewhat more discreetly than it’s muscatel brothers. Medium sugar content and smooth acids make this an immediately friendly wine. Worth drinking within a year of harvest, so don’t leave it in the cellar too long. Named after the french words for “black” and “pine”, because it’s dark vine resembles a pine cone. 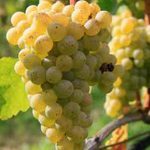 While known to love cooler climes, remarkably good versions come also from Villány, which has a sub-mediterranean climate. The wine of philosophers, it is complicated and hard to understand, wherein lies it’s charm. It takes great passion to grow, as it is thin-skinned and sensitive. It’s light, pleasant standard wine will tempt you with it’s fruitiness, before you become a slave to the deeper full bodied versions. Not the most widespread of Hungarian types, still there is documentation from the 1930’s which mention it. With proper care and limited selection this wine is pleasantly refreshing, with elegant acids and a nutty bouquet and taste, paired with citrus and apple. 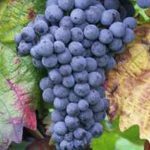 A member of the Pinot family, it was developed with much care by the monks of Badacsony, from whose grey-hooded cloaks it’s Hungarian name comes: Szürkebarát, the grey friend. Terroir plays a large role in this wine, and it can show many different influences, from deep vegetation to spices. In Badacsony it beautifully rounds out minerals from the basalt, but you can also find light, crisp Italian style acidity. A multi-faceted wine for multi-faceted wine lovers. Called Kékoportó until recently, this is the favourite light, drinkable wine of the Hungarians. If you are a fan of blue flowers, abundant cherry and imperceptably smooth tannins then you are in the right place. It developes quickly, so no need to hide it in the cellar. A favourite in Villány, Szekszárd and Eger, you will often find it putting in an appearance in Bull’s Blood too. 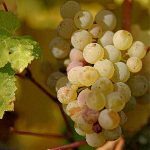 Hungarian riesling is a far cry from Mosel. 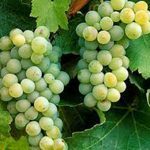 Very popular in all regions, it is always flowery, and can show notes of everything from citrus to white-fleshed fruits. It’s final form will always depend on the area and the person making it, but it is suitable for everything from a light, dry wine of high acidity up to full-bodied sweet wines. 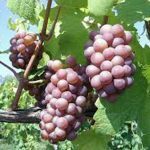 Cross-bred from Rajnai Rizling, this makes for a really light, fresh and fruity wine. Officailly known as Müller Thurgau since 2009, if you see this on the menu it is a great way to start.It’s smooth, crisp acids, and elderberry flavour make it a real star. 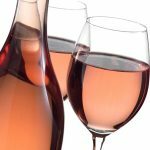 Generally used to make reductive wines of quaint and charming character. 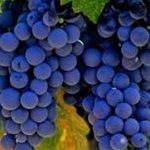 Processing blue grapes with white wine methods? What will they come up with next? Harvest, leave for a few hours to soak in the skin and voila, your strawberry fresh wine is ready! Ok, it’s more complicated than that, but while you are looking it up enjoy the pinkish colour of the gateway between white and red. Fresh-cut grass, asparagus and nettle, all in one delicious grape! 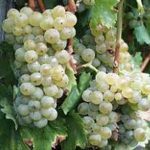 Many regions grow and produce wines from it, all creating their own version of this famous French wine. Most often used for reductive wines, the braver among us also mature it in barrels. Somewhere between the late harvest and the aszú lies Szamorodni. The Poles said this wine is as it is born, and they are right! 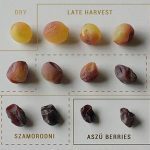 A few shrivelled aszú grapes, a few healthy ones, throw the lot in the press. The result is a many-sided and exciting wine with notes of aszú. Most often sweet, it can also be found dry. The third most popular grape of the Tokaj region, with explosive floral and honey fragrances at the fore. Many believe this is only for sweet wine, but the most special results come dry. It is also often used in Tokaj Aszú. Whichever way, this is the perfect grape for a succesful first date. 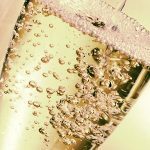 Playful bubbles dance on the tongue, this must be sparkling wine. Carbon-dioxide catalyses light, crisp and refreshing wines, making the fruits jump at us on a hot summer day. More scents than a spice market and tough to harvest, but all is forgiven once it is in the bottle. Mostly grown in Pannonhalma, Eger and Mór. 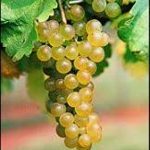 It’s wine is golden-yellow, with a rose and lychee bouquet, and flavour of spice, fruit, cinnamon and honey. Tramini is generally drunk fresh, but there are some types which appreciate 2-4 years of patience. A white grape from the Rhone valley, it’s excitingly flowery and spicy bouquet immediately grabs the attention. Heralded as the new Hungarian success-story, it is still fairly rare, so coming across a bottle is an occasion. It is worth drinking while still young, as it soon loses the perfumed notes for which we love it so. Adopted from our Austrian brothers, who like to leave it in the barrel, we prefer the softer, more fruity version. We are not promising Sauvignon-like heights, but a good selection from Pécs or Szekszárd may well surprise you. Light, low in tannins, with a cherry flavour, Zweigelt is not known for it’s aged specimens.